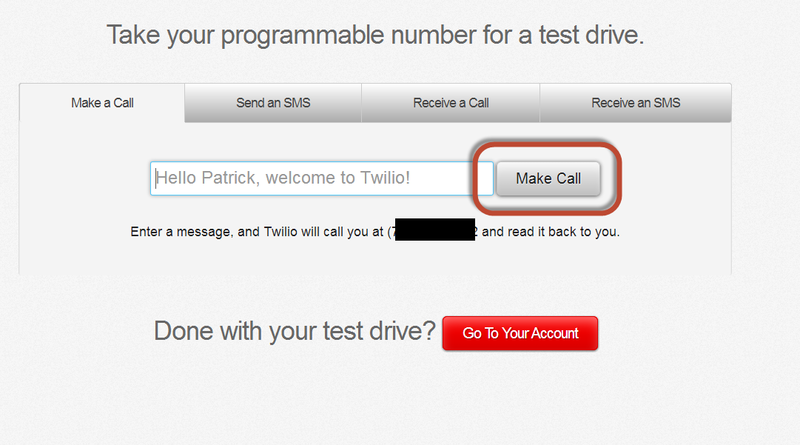 This guide will walk through the initial set up of Twilio. I will show you how to change your phone number, even during the free period, if like me you did not choose a good on in the first place. This guide will stay simple its your first 15 minute guide and will not go deep, I will leave that for another guide. First of all you need to remember Twilio has on "L" not two. The main site is at https://www.twilio.com/ . 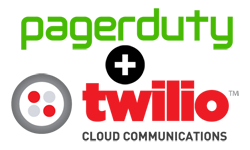 Twilio is a cloud based phone and SMS system. 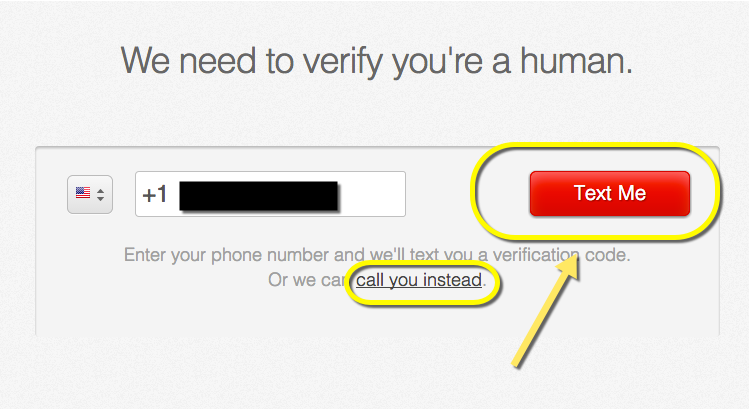 It allows you to obtain a phone number that you can then program against. 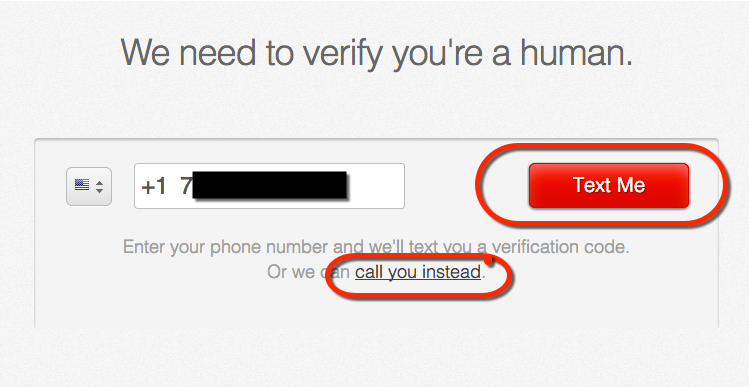 For example you could set up that phone number to send out an email whenever anyone calls it. You could have it connect to you when someone calls it and presses "1" and to someone else if they press "2". You can have it kick off scripts to run during the call. You can run a curl script that will call 12 people and tell them all the soccer game is canceled. It does all this using, TwiML, API calls, and Twimlets. And it does all this on a pay as you go basis. Here is a copy of their costs from the following page https://www.twilio.com/voice/pricing . 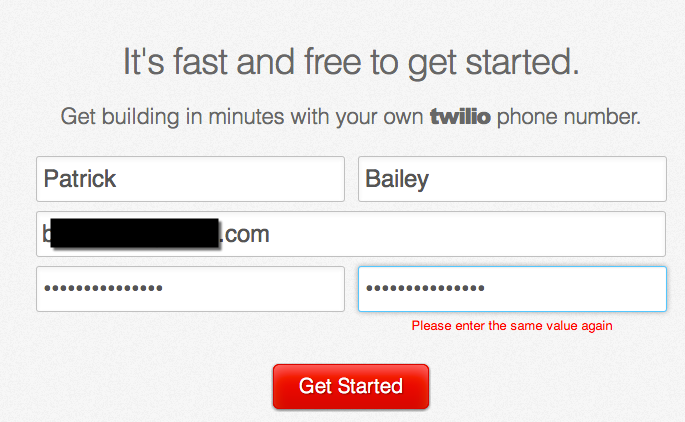 Currently, 8/2014, Twilio has a free trial. The details of their free trial can be seen on this page https://www.twilio.com/help/faq/twilio-basics/how-does-twilios-free-trial-work . 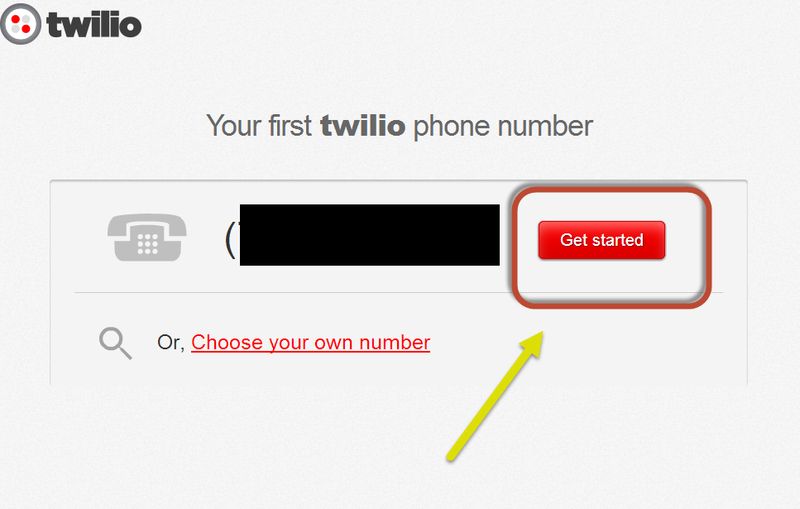 When you sign up for Twilio, you will get a free telephone number. 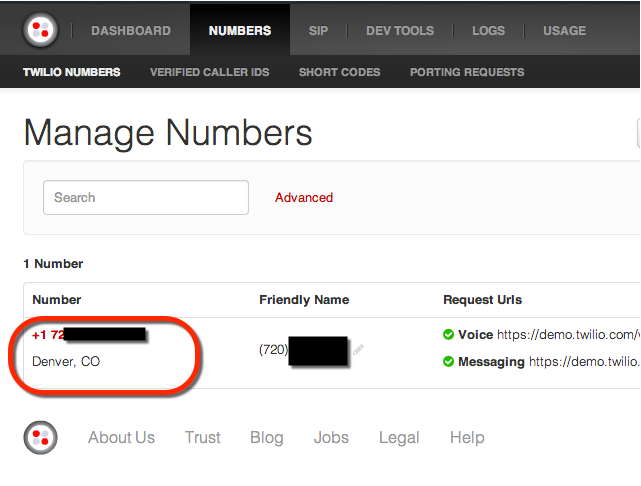 Like all phone numbers from Twilio, it is “programmable.” You can build a web app that makes phone calls and sends SMS messages using this number. When people call it, you can have Twilio answer the call or dial another party. Likewise when, people send an SMS message to this number, you can have Twilio programmatically respond, based on directions you give us. Enter your name, email address, set a password, and then click Get Started. Enter your phone number and click Text Me. Alternatively you can click on call you instead and have the service call you. 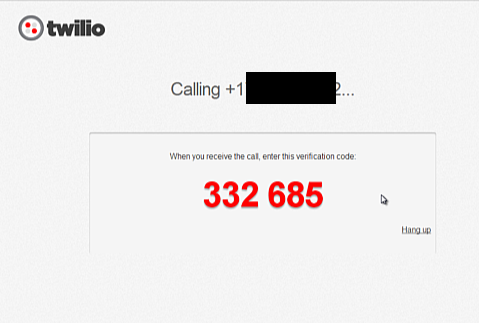 A confirmation number will be displayed and Twilio will call you. Simply enter in the code when prompted. 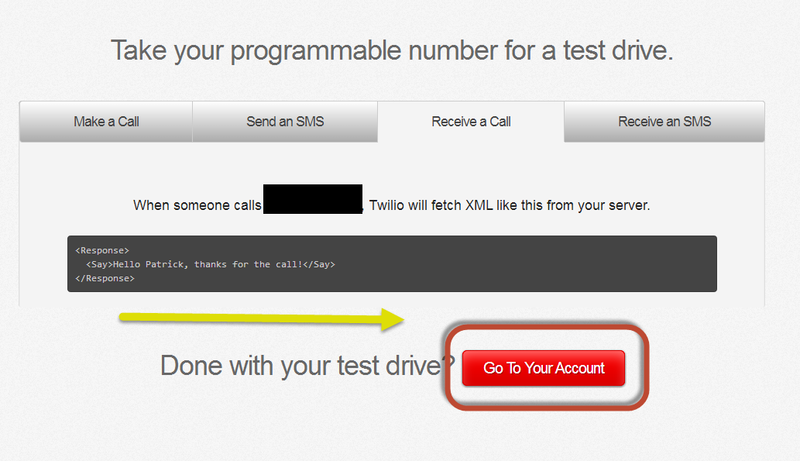 Twilio sets up a few nice test to get you started. Click Make Call. This will call your phone and speak the message in the text box. After the call was complete it gave me an example curl command to use the API to get the same results. There seems to be an error in part of the curl command line. Click the recieve a call tab. 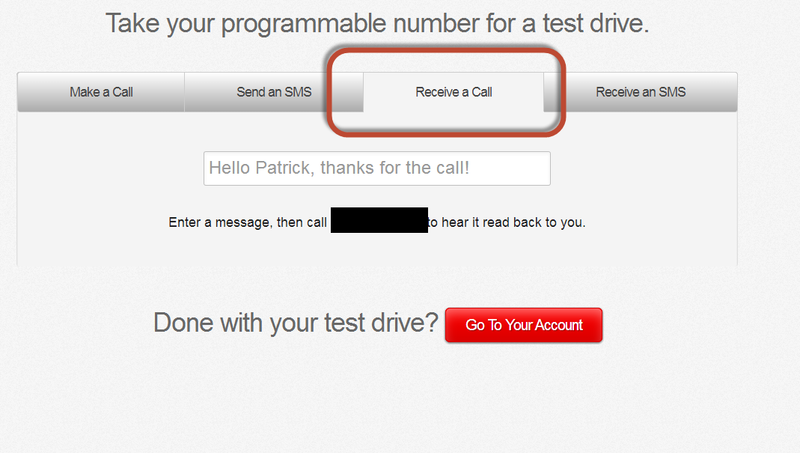 If you call your Twilio number it will read back to whatever is in the text. When you are done fiddling with these demo tools you can go to your account. 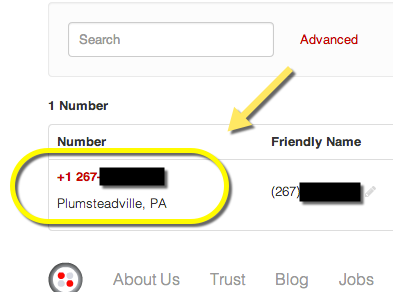 If you are like me, you should have chosen a different area code for your phone number when you started. If that is the case, you can change it even during the free trial period. First open the Numbers tab. In the lower right click Release Number. The number is now deleted (released). 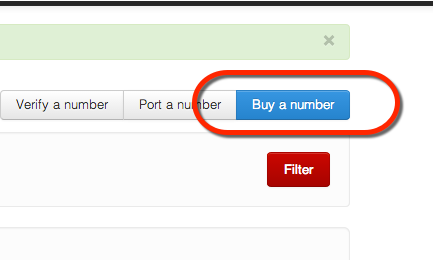 At this point you could "Buy a number", but we don't want to do that, since we are just testing with our trial. That seemed to work now I have a new number that is a local number to me. Reloading the Numbers page shows the new number. Now I have a Denver, CO number so I don't have to worry about long distance. But really who worries about that anymore? I remember when I got my first cell phone that had unlimited long distance on nights and weekends. I was talking the my grandmother, long distance, and I had to stop her from cutting me short, and I told her I had free unlimited calls. 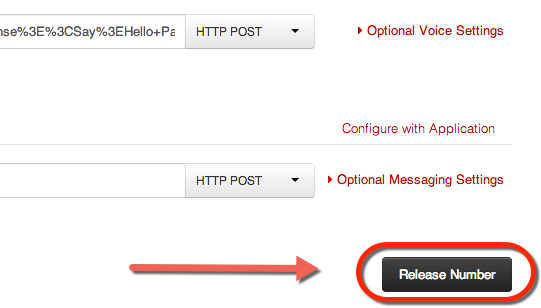 If you changed your Twilio phone number you can go back to the demo tools at https://www.twilio.com/signup/success to test it. 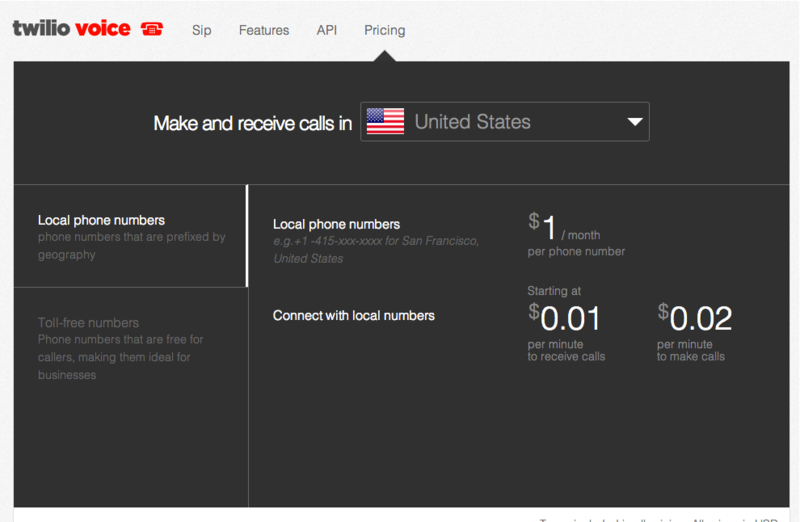 How does Twilio’s Free Trial work? How do I cancel a number I’m no longer using?